It took me a very long time to pick this book up. I’d seen it around the blogosphere for a while but after reading the blurb I hesitated. I’m not much one to go in for true love stories. I’d like to believe in it, but I’m so skeptical that it has to be really well done for me to buy into it. Now that I’ve read the book, I can honestly say I’m glad I did. Kate did a very good job of setting up the romance without overdoing things, and I thoroughly enjoyed it. Probably my favorite part of the book was the setting. I have a weakness for boarding school stories (Harry Potter anyone?) and I love the dark atmosphere at Sword and Cross. At the same time, that darkness is mixed with the St. Trinian’s type attitude of the students, making for a very interesting overall read. My only complaint, and it’s not really a complaint at all, is that I wanted to see more of Luce gradually falling for Daniel. The exposition happened so quickly that I didn’t quite trust Luce’s infatuation with him – it felt more like puppy love than true love to me. On the other hand, Luce gradually falling would probably have ruined the story because Daniel would have caught on and pushed her away or left. Kind of a Catch-22 really. 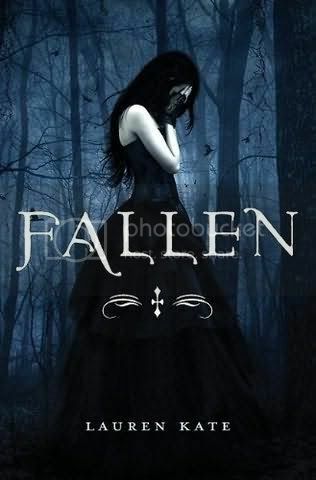 Final verdict: This is a must read for fans of Nightshade, Twilight and other paranormal romances. I am so excited to get my hands on the next book! My Review: This is just going to be a really short collection of opinions, as it’s been more than a week and I’m a bit behind on reviews. First of all, let’s be honest about what this film is. In essence, it’s Alvin and the Chipmunks, minus the singing. Not that that’s a bad thing, I enjoyed Alvin and the Chipmunks, it was very cute. But I do get slightly annoyed when someone goes “Hey, this film did really well, let’s change one little thing, and BAM we’ll have an instant best-seller!” (<—that’s actually a major reduction of what happens. I think Hop was slightly more original than that. But it still annoys me that this is probably what happened). Third, I didn’t laugh at many of the jokes, but I can see how a kid (the original intended audience) might. And the jokes that I laughed at, well, I laughed pretty hard. Fourth, yeah, I’d recommend the movie, especially to anyone with small children or looking for a reminder of their childhood. No, I probably won’t ever watch it again, if given the choice of a new film. OK, so now comes the part where I apologize profusely for not posting often enough. See, funny story, I got a job. And while it’s only part time, until school’s over, I usually have 12 hour days and by the time I get home at 10, all I want to do is drop into bed and sleep. But I am 5 reviews behind at the moment, and I promise as soon as I get a free minute I will write them up and you will have them! Thanks so much for sticking with me! Twelve-year-old Elodie dreams of becoming a mansioner--an actress. 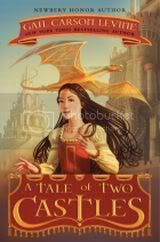 She journeys across the sea to the town of Two Castles in hopes of becoming an apprentice to a mansioning troupe, but things do not go according to plan. In spite of Elodie's great talent, the troupe already has plenty of apprentices. Elodie is out of luck: She has no money, no apprenticeship, and no home. But an opportunity arises. The wise dragon Meenore is in need of an assistant to proclaim ITs powers of deduction and induction. Elodie is in need of a position. And so she becomes the dragon's assistant. When the town's hated ogre, Count Jonty Um, seeks the dragon's help in finding his stolen dog, Elodie is sent to the ogre's castle to get to the bottom of the mystery. More is afoot than just a missing dog. The ogre is in grave danger, and Elodie must use her mansioning skills and her powers of deduction to discover the source of the threat. I have loved Gail Carson Levine for a very long time. Ever since I read Ella Enchanted back in elementary school I knew I had to read anything I could manage. So, when I saw this book up on NetGalley for review, I jumped at the chance. I will admit, I’ve grown out of MG novels, in general. Even when I was the right age for them, I was very picky – I hated books that were condescending (or that I thought were condescending) just because they were geared toward a younger audience. Levine never does that, and that was why I loved her. And I still love her, but it did take me a while to readjust to a MG novel after not reading any for many years. This book did not disappoint. Levine sets up her cast of interesting characters well, leaving just enough mystery to keep us interested. I particularly enjoyed the character of Meenore – hints of Sherlock Holmes ran through it’s characterization, but they all seemed to fit really well. I also really enjoyed the juxtaposition of the “monsters” and the “people” and how the definitions of both change through the book. But the best thing about this book for me, was the story. I genuinely enjoyed this book simply for the pleasure of hearing a story told (or reading one, rather). I enjoyed the twists and turns of the mystery, felt sorry for Jonty Um the ogre, and felt hurt with Elodie. This book was pure fun all the way through, and I would recommend it to anyone looking for a decent story! I started this one looking for a light fluffy read. After the trouble I had (and shouldn’t have had) with The Iron Thorn I knew I needed something different. This book certainly had a different feel to it, but it wasn’t the fluff piece I was expecting. I also found the story very engaging. It was kind of a cross between Nevermore and Just Like Heaven (this really cute RomCom with Reese Witherspoon and the guy from 13 going on 30). I love the idea of people who are meant to be together and end up getting a second chance – for a while I was obsessed with the movie The Lake House because I love that kind of storyline. I’m so excited to see where she takes this one, though, since the second chance seems doomed to failure simply because Alona is dead. In the end, I would definitely recommend this to anyone open to the idea of paranormal romance. It’s so fun, and yet so meaningful at the same time! Ginny Blackstone thought that the biggest adventure of her life was behind her. She spent last summer traveling around Europe, following the tasks her aunt laid out in a series of letters before she died. When someone stole Ginny’s backpack-and the last little blue envelope inside—she resigned herself to never knowing how it was supposed to end. Months later, a mysterious boy contacts Ginny from London, saying he’s found her bag. Finally, Ginny can finish what she started. But instead of ending her journey, the last letter starts a new adventure, and Ginny finds she must hold onto her wits-and her heart. This time, there are no instructions. 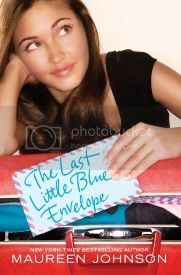 When I read 13 Little Blue Envelopes I was a Freshman in college. I was young and naïve. I’d only ever been overseas on tours with music groups and even then we didn’t do much outside our itinerary. I loved to travel though and the idea of traveling around the way Ginny did really impressed me. I was sure I could never do what Ginny had done, but I sure wished I could. Oh, how things can change. 4 years later, here I am about to graduate and I have a totally different perspective. I have now spent a year abroad and wonder of wonders, I had my own Little Blue Envelopes trip (though not quite so extreme). I’ve grown as Ginny did, and now I can relate to her again, in a different way. First stop: Paris. Such a glamorous city! Aunt Peg is right, there is no way you can “know” a city from just one visit. This time instead of being green with envy, I was able to sit back a bit and recognize some of the places I’d been and reacquaint myself with them. I like to think Les Petits Chiens was just around the corner from the Hostel we stayed in, next to the quaint little bookshop I had to visit. You can really tell that Johnson has done this at some point and it is so wonderful that she can share the experience so vividly through her characters’ eyes. But my perspective was not the only new thing this time. I really loved the addition of Oliver to the cast. He was pleasantly frustrating and mysterious, and his story was part of the reason that I couldn’t put the book down. Thank you, Maureen Johnson. You inspire me to find my art, no matter what anyone else thinks, and that is the greatest inspiration any artist can have. One of the issues we, as book enthusiasts, run across is how to feed our addiction. Let’s face it – books are expensive! While the expense is hard on any budget, it’s especially hard on those of us who have little or no income (talk about poor college student, here!) There’s obviously solutions out there – I went to my local library 3 days in a row this past week, and that’s fairly normal. But not everybody has as good a library system as I do, and frankly there’s nothing like actually owning the books you love. So what do you do, when you’re feeling a little tight in the wallet? Do you have any tricks or tips to share? 1) Always shop around. I love Amazon, especially because they’ll give me free shipping for being a student, but even with the free shipping, they don’t always have the cheapest price. Sometimes The Book Depository beats them, or if it’s something I’m willing to get a used copy for it’s cheaper to buy that and pay the shipping, than to not pay shipping and buy a new copy. 2) Get in on book swaps! I personally use Paperbackswap.com but I’m sure all of them work well. You can’t be guaranteed to find the newest releases, but often if you’re looking for something released a few years ago you can find 6 or 8 copies waiting to be swapped. Plus, it’s a great place to get rid of books that you’re willing to part with and make room for all those new lovelies you’ll be swapping in. 3) Look at your local grocery store. We don’t have any bookstores in town, so I’ll look every time I go to see if they’ve changed stock. They usually only have the bestsellers, but often you can find better deals there than at an actual bookstore. As an extension, check your nearest co-op or bulk store. We have a Sam’s Club about half and hour away that my mom’s a member of. While she only goes once every couple of months, I always beg her to take me along – their book selection is iffy, but you can often find the biggest hits at the absolute lowest price you will find anywhere! I bought The Iron King the other day there for $4 (!) less than the lowest price I’d found online. 4) I rarely, if ever, buy hardbacks. If I know I want to read a hardback, generally I’ll get on the list for it at the library before it even comes out, then if I loved it as much as I thought I would, I’ll preorder the paperback version. This may be difficult, especially when something you love is coming out, but trust me, you’ll save hundreds every year if you can manage it! What do you do to save money on your book addiction? First things first, I would love to meet Caitlin Kittridge someday. The mind that can think up all the complicated rules of this society and keep them straight must be one heck of an organized mind! In fact, the intricacy of the story and the setting is one of the things I really loved about this book! The world is amazing and I would love to learn more about it. Unfortunately (and I really mean that) I was going into this book with a severe case of burnout. I’d been working really hard on this creative project aka recital, and I couldn’t allow myself enough breaks, and by the end of it, anything creative, right on down to reading, sounded very un-fun to me. The worst bit was, I didn’t even realize it until I was halfway through the book and found myself slogging along! I think if I’d been in a different mood, and not in the situation I was in, I would have loved this book, but as it was, this book took much longer and was harder to understand than it should have been for me. That said, I would definitely recommend it! I loved the dynamic between Aoife and Dean (anyone know what Aoife means, btw? Or even how to say it? That bugged me a tiny bit.) I never saw the twists coming, and I enjoyed the intricacy of the setting. Just be warned that you must be in the mood for this book before you pick it up, because it’s complicated and will take some work to understand. I’m a little behind on this review – sorry! I actually finished this one a few days ago, but I’ve had other reviews scheduled and I didn’t bother with writing it up. Sorry! First of all, can I just say “About time!” It seems like urban fantasies like this aren’t nearly as common among YA novels – obviously we have City of Bones but even that gets out of the urban fantasy eventually. This one is Urban Fantasy all the way through. The only difference from an adult urban fantasy was the lack of racy material, and I’m ok with that. One of the things I really liked about this book was the detail put into the hierarchy of demons. Magpies and Biblio-fiends sound so cute, though they should keep far away from my library. I’d like to learn more about all the demons, because they seem like there’s more to them than just “gotta kill them all!” I know I say this a lot about books that have new creatures in them, but I want a catalog of pictures and specs on some of these demons! What can I say, I’m that kind of person. I also enjoyed Riley as a character. She’s tough, and she doesn’t give up. I spent a lot of time feeling bad for her, cause no matter what she did she could not catch a break. Her author was very mean! But it makes for a good story so I’m not going to complain. 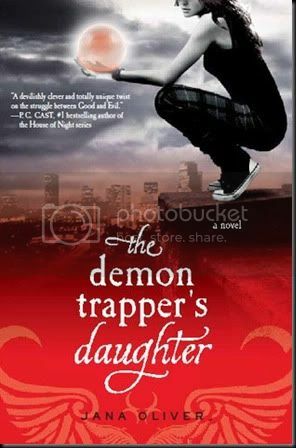 In the end, I’d give this one two thumbs up – this is the perfect book for anyone who loves Urban Fantasy or YA. This is a great introduction to either genre! 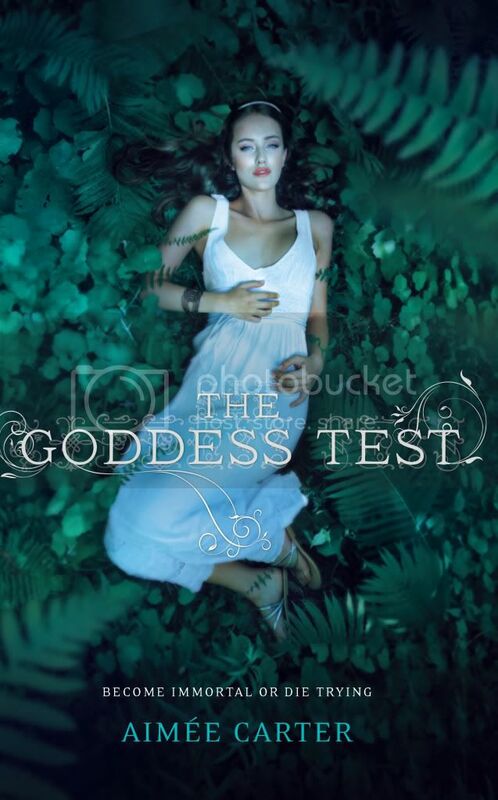 I may be slightly prejudiced because I am a huge fan of ancient mythology, but I loved this book! The premise is simple – Hades (aka Henry) has lost Persephone, but he cannot rule the underworld alone. For thousands of years he has been trying to find a girl to rule with him, but all eleven have died trying. Kate enters into the bargain anyway, in hope of saving her mother who is dying of cancer. Firstly, I loved the portrayal of Henry. 99.9% of the time, if Hades shows up in a book, he’s the bad guy. For good reason, obviously, we like to blame the guy who is associated with death for everything, but every once in a while, you gotta feel sorry for the guy. Carter’s portrayal shows him as a sensitive guy who gets blamed for stuff because of who he is, but isn’t actually too bad. 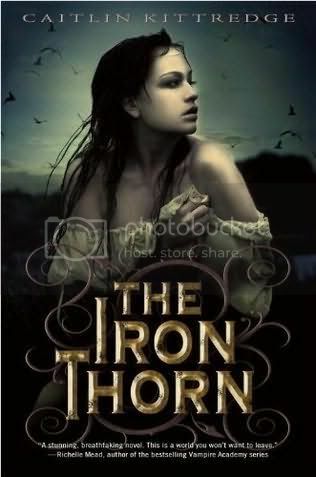 In fact, despite the obvious references to mythology, the strongest thread running through this story for me, was a retelling of Beauty and the Beast (which just so happens to be my favorite fairy tale, like Persephone is my favorite myth). I actually liked Henry, because he was willing to stand up for Kate and he felt sorry for what he was asking her to do – the evil bad dude that always turns out to be Hades is couldn’t do that without some really good acting skills, and I’m hoping those never surface, because I like Henry the way he is. I also loved the fact that Kate isn’t going with Henry because she “can’t live without him.” I’ve seen plenty of love stories recently that play with this theme, and while I was willing to put up with it in the beginning, it’s starting to get a little old. But Kate isn’t like that. Even once she begins to realize her feelings for Henry she is willing to leave him once her six months are up, and frankly is more worried about passing the tests so her mother can live than figuring out a relationship with Henry. I find this much more believable than the whole “Love you so much I can never leave you! Nothing else matters in the world!” and I enjoyed the book because of it. I’m so excited to share this book with everyone, and I cannot wait until the next book comes out! What happens next? I have always been a fan of dystopia, ever since I read The Giver for the first time in fourth grade. Now, I know everyone has already made this comparison, but Matched felt like reading The Giver all over again. Some people complained that this was a problem and that Matched wasn’t original enough, but I disagree. 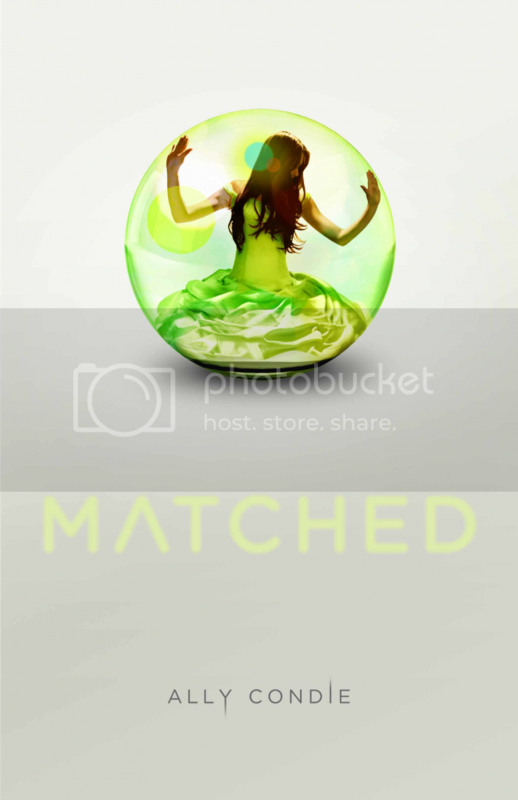 I think Matched balanced its references to its predecessors with originality in such a way that made reading it an enjoyable experience. We’ve all had those books that we finish and wish that we could read it for the first time again. The only way to do that is to read something similar. That said, I did get a little frustrated with Cassia. I don’t think it’s really her fault, it’s just that I’ve seen the topic of “girl has two boys and can’t decide which she wants” so many times now that it’s starting to get very old. Yes, fine, they’re both gorgeous, wonderful boys, but since when does being a girl automatically mean that you can’t make a decision? I don’t think this would have bothered me if it was the first time I’d seen this trope, but after a gazillion times it’s starting to get on my nerves. On the other hand, I really loved the character of Ky. He is mysterious but sweet and helpful to Cassia when she needs it. But the thing I loved most is that even though I can tell that he’s part of the revolution, he isn’t looking for a fight. He believes in a different world, and if he had to he’d fight for it, but you can tell he doesn’t want to. That’s one of the major places I found originality in this series, and I liked it just for that. Yes, it does make for a more philosophical book than, say, the action packed trend The Hunger Games started. But it also makes a good point – sometimes violence isn’t necessarily the answer, and even if it is the answer, you shouldn’t go chasing after it until it’s the last resort. So overall, enjoyable, but not for everyone. It has its good points, and it does have strong nods towards previous books. But, don’t go in expecting a ton of action, or you will be disappointed.